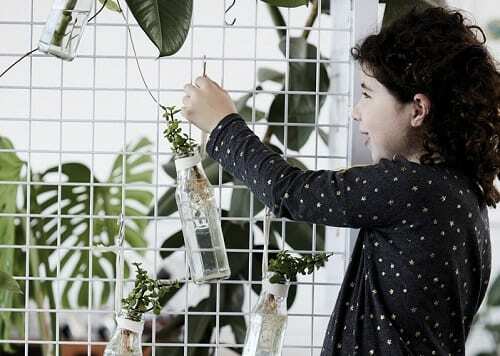 Let children observe the magic of a how a cutting grows its roots – a quick way to propagate plants for free and a valuable lesson in appreciating just how awesome nature really is. Cuttings from healthy plants that will root easily without nurserybought rooting hormones. Try species such as African violet, geranium, mint, wandering Jew, impatiens, philodendron and spekboom (indigenous to South Africa). Help your kids cut a 3 to 6-inch section of stem from a healthylooking plant by making a clean, angled snip above a leaf node. Let them remove leaves from the bottom third or half of the cutting so you are left with a bare stalk and a few leaves on the top section. 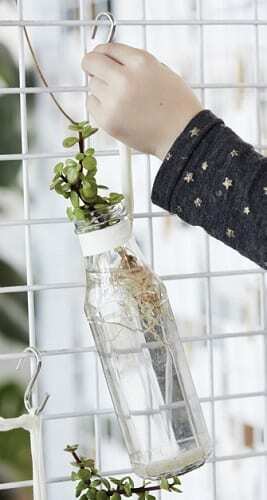 Put the cutting in the bottle of water, submerging only the leafless stem. Place the bottle in a place that gets partial sunlight and that is neither too hot or cold. Once the roots are several inches long the cutting is ready to transplant into soil. Keep the water topped up and replace once a week or sooner if it becomes cloudy. 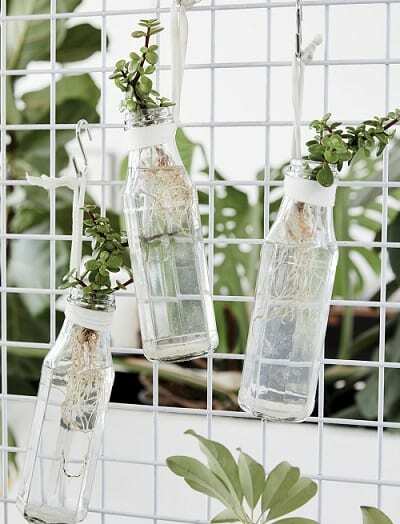 Let the kids feel like mini scientists by displaying their cuttings in test tube vases or beakers. Upcycled chutney, ketchup and glass soda bottles filled with cuttings, displayed en masse from a metal frame, will create an eye-catching decorative element.